There has been huge advancement in web hosting business in terms of technology and the business processes involved. The launch of cloud computing techniques in February 2008 and rapid growth of virtualization method has been the notable features. The spurt in such services has been due to the insatiable demand for space. Cloud computing involves the use of a huge number of servers across many locations. This removes the dependence on memory, performance and RAM of a single computer. The spread across servers guarantees an almost unlimited space for data storage or memory required for transfer. There is always an average range of web space between which a host’s computers are used everyday. This provides ample free space for users to exchange and store data. This method to host ensures purchase of unlimited computing power, as needed from an inexhaustible source. Also, any up-gradation or scaling down can be done without any shut down of the server. The hardware maintenance and replacements is unlikely to affect the overall speed and performance. The load balancing required is done at the software level and is spread across multiple servers. 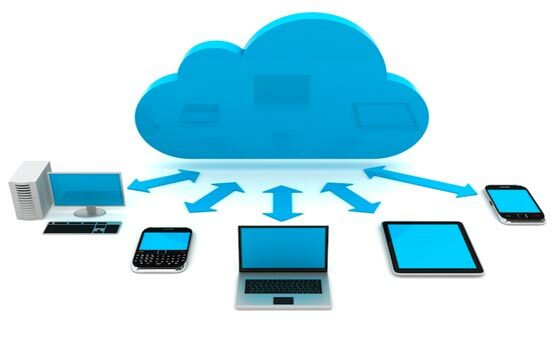 Small and medium scale businesses that are unable to manage surges in traffic flow can effectively use cloud hosting. The system ensures an even spread of traffic load and prevents breakdown, due to an excess crowding onto a single source. The failure of any server is also well compensated by others, thus ensuring an uninterrupted flow of information. Virtualization technology consists to run multiple small servers within the setup of a single machine. The softwares that allow the segregation, support and reduce loss, due to overlapping hardware have evolved over the time. The latest in the row is the Windows Server 2008 system. Virtualization is essential for hosters because it makes the service economical by increasing server utilization. It is found that most servers are utilized at a far less capacity than initially estimated. Virtualization uses this method to ensure 100% use of server space. The use of best performing content delivery networks like Akamai, Level3, and LimeLight enable best services for clients. The Windows Server 2008 integrates new technologies like, virtualization tools, and security enhancements and saves time and costs. It is equipped with the Hyper-V technology that enables web hosts to create virtual machines out of their servers. Also, the latest web server, IIS 7.0, is included, which is equipped to handle web based services with ease. IIS includes facilities like web server, SMTP server and and NNTP server. Hosting companies may use Linux or Unix operating systems on their web servers. Among the subtypes Red Hat Linux, or Mandrake Linux, are the proven softwares that can manage hundreds of websites and millions of hits per day. Among the UNIX, versions FreeBSD and OpenBSD are commonly used. Linux, Unix, and Windows can accommodate add-ons such as, chat, email and web statistics. Windows is far expensive because of the initial purchase cost and additional charges for license renewal. Use of Linux and Unix is also easy, when it comes to cloud hosting or virtualization. These operating systems allow a close coordination between all the components of the network. The choice must be based on the web master’s need to run other features. UNIX is best for supporting PHP and MySQL. Windows is the best platform for applications based on .NET and VB. Windows is also needed to use Active Server Pages, Front Page Extensions and Visual Basic.